Our yoga practice should help us to live fuller lives. Our practice should help us climb a little higher every day, and if we climb too high, teach us we have to come down and rest, and next time, learn how to equalize. The meaning of life is hidden inside our emotions. Us humans often get caught up in the so called “I-ness,” in which we live our lives in our feelings and everything else has no real relation to life. It may sound strange, but our life is our feelings, moods, and emotions. When we are in a good mood, we are inspired by everything — the world around us, people, atmosphere, and even possessions. When we are in a bad mood, nothing can force us to feel pleased and satisfied, not even the most valuable and vital things that usually lead to happiness. When we are happy the whole world is in harmony and everything brings us joy. In other words, the meaning of life is to experience the feelings that give pleasure and joy. The great, ancient yoga masters understood that one system was superior in connecting all the other ones: The breathing (respiratory system), since it affected the mind and energy of the individual (endocrine system, cellular system), and in adding breathing with asana they saw that the overall health and balance (homeostasis) improved dramatically. They learned that a person’s balance has a lot to do with how well the body circulates blood (circulatory system), since the blood carries nutrients and oxygen to all the building blocks and maintenance stations in our bodies and brains. A great step to a healthy attitude about stress is to realize our ownership over our brain and learn to engage our brain intentionally to manage the consequences of the fight and flight response. It is actually very simple for us to learn to intentionally engage the parasympathetic nervous system, which controls the relaxation response in our body. The relaxation response returns the body’s resources toward the digestive system but also the brain balance needed to maintain a healthy brain wave. We have the power to educate our own brain to do so intentionally. Once the over stimulated fight and flight response returns under control, the true potential of our brain becomes accessible, our learning ability is enhanced, and our executive reasoning functions become strong again. The only autonomic nervous system function that can be directly affected by our conscious mind is the breath. Conscious breathing is a great way to experience deep levels of relaxation and to activate the parasympathetic nervous system. Start here and now. Sit comfortably. Elevate your seat if you have to in order for your spine to be long and erect. You can sit against a wall if need be. Place pillows or a block underneath the thighs if you have tightness in your hips. Rest your hands on your knees. Roll your shoulders back so you can lift your chest a little. Close your eyes and your mouth. Keep your lips soft and jaw as relaxed as possible. Exhale slowly and empty your lungs. When the inhalation appears, let it evolve until you have reached your fullest expansion. Then pause two seconds and slowly start to exhale, and follow the exhalation until it ebbs out completely. Pause two seconds. Repeat. Do this ten times. When breathing, try to stretch your breaths by making the start of each inhalation and exhalation long and listen to the sound of the breath more and more. Pick up its sound in the middle of your head. Try to really listen; notice the sound of the breath. After the ten breaths, sit quietly for a moment, sensing the effects of your breath. I bet you will be calmer. It is because you have altered the distribution of energy from the sympatheic nervous system (activating part of our NS) to parasympathetic nervous system (calming aspect of our NS). 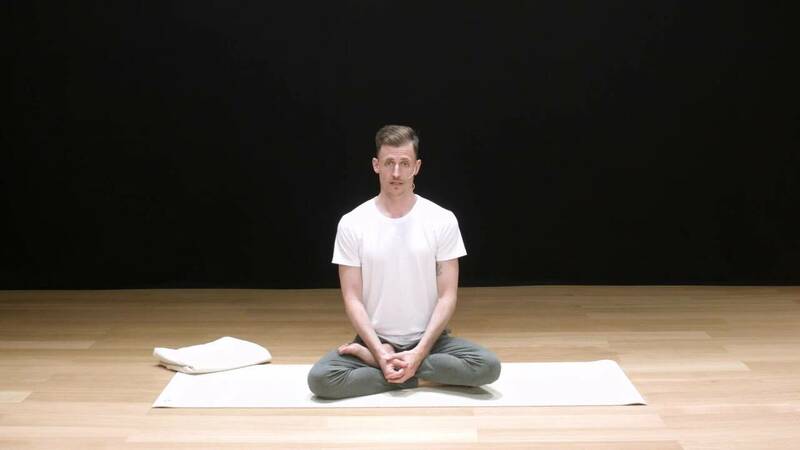 The Full Complete Breath is a great technique to bring into the practice of restorative yoga. It is the breathing method I often recommend my students apply in order to start to release, unwind, and keep their mind occupied with something other than reacting, while their body sinks deeper into the poses. When the body is calm, the mind quiets and the breath lets go. Then the breaths just happen. No technique is needed, and you are in floating state; in being with the moment. When you arrive here, the stress hormons are down to a low minimal. In this state your creativity can flow, oxygen levels increase in your blood and you often feel calmer, clearer and more present. A basic breathing technique that suits everyone. Never leave home without it! Pranayama pause for those days when you are gasping for air. 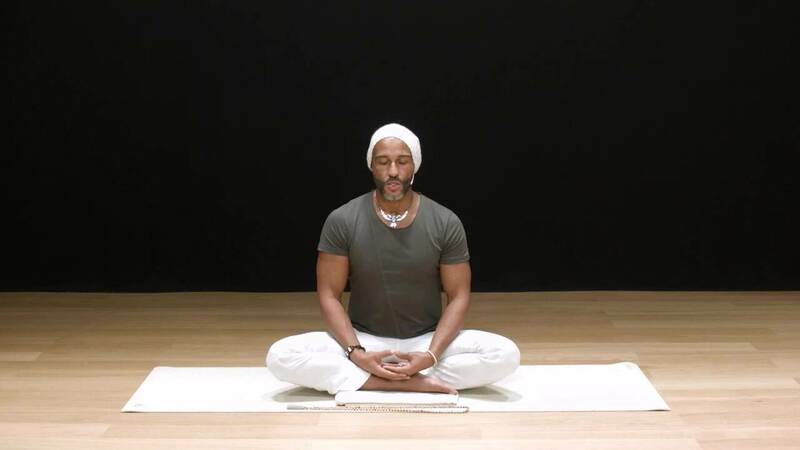 Shitali Breath - A breathing technique to cool down body and mind, with Amir Jaan. This meditation is a wonderful tool to help us focus in our day to day lives on what we want to and let go of what we don't want. In the modern day world of constant stimulus and distraction this is an invaluable practice to help us focus, in a calm and loving way. Ulrica is one of Sweden's pioneers in yoga and has written several books and articles both in Sweden and abroad. Ulrica has also educated over 500 yoga teachers in Scandinavia.